Trump’s overall strategy to try and break up the EU reflects his preferred way of doing business: to deal with individual states so they can be more easily manipulated, says political writer and journalist Dan Glazebrook. 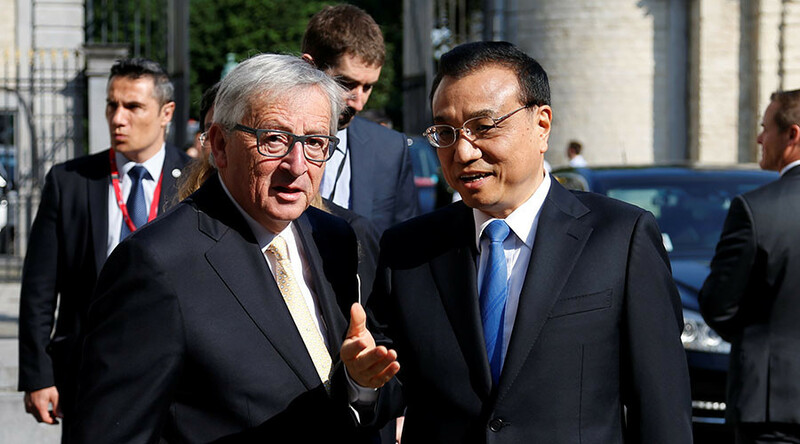 Discord between Washington and the EU in the wake of recent comments by President Trump may be pushing Europe into the arms of China, that was highlighted on Friday as top Brussels officials host the Chinese Premier in a sign of unity to fight global warming. Europe's intentions were backed up by EU chief Jean-Claude Juncker. He claimed that since America's seeking to distance itself from its partners, China's growing in importance. 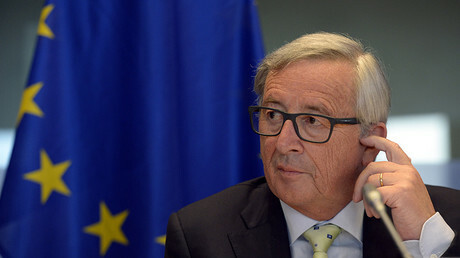 “Now that there are signs that the US wants to untie itself from international connections, the relationship with China is becoming more and more important,” Juncker told Politico on Thursday, a day before the EU-China summit. RT: Juncker's not the only one to have hit out, German chancellor Angela Merkel also said that Europe and the US are drifting apart. Why is this happening? Dan Glazebrook: They are drifting apart, and especially over this past week we’ve seen conflicts many conflicts emerge, not just over the Paris climate agreement, but over Trump’s fury at the amount of German car exports into the US; Juncker’s fury at Trump hoping to seal bilateral trade deals with various EU member states and perhaps as part of an overall strategy to try and break up the EU, which does seem to be Trump’s preferred way of doing business. Trump said on many occasions he doesn’t like multilateral trade deals, he prefers to deal with individual states, for obvious reasons, which is that they can be more easily manipulated and bullied and so on by the US if he is dealing with one state at time than when he is dealing with a united block. So, there seems to be a long-term strategy of Trump and his people to aim for the breakup of the EU and this fits in with those who support Trump and people like Le Pen and so on, various far-right forces around Europe, they obviously all hope for the breakup of the EU as well. So, you have that convergence. That is one part of what is going on. The other part of what is going on is the overall historical trajectory, which has seen a rise of the global South states, particularly the BRICS countries and in particular China. 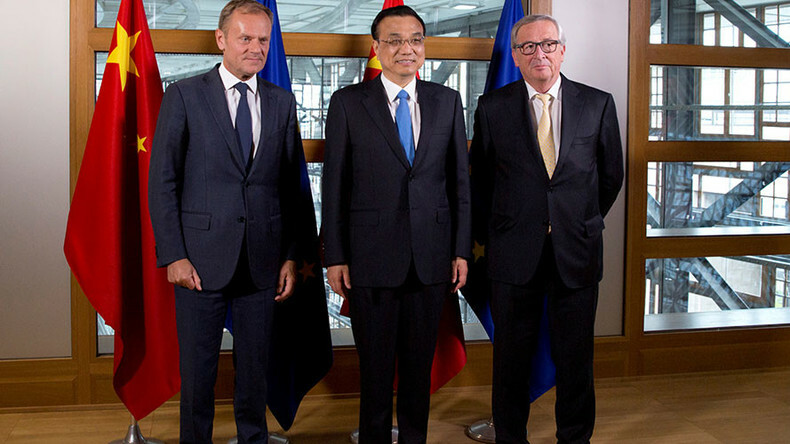 The economic logic is for Europe and Asia and particularly China to unite… This seems to be a natural development for Europe to develop its links with Asia. Actually, Trump’s attempts to weaken the EU are accelerating the development of the EU’s deepening links with China.